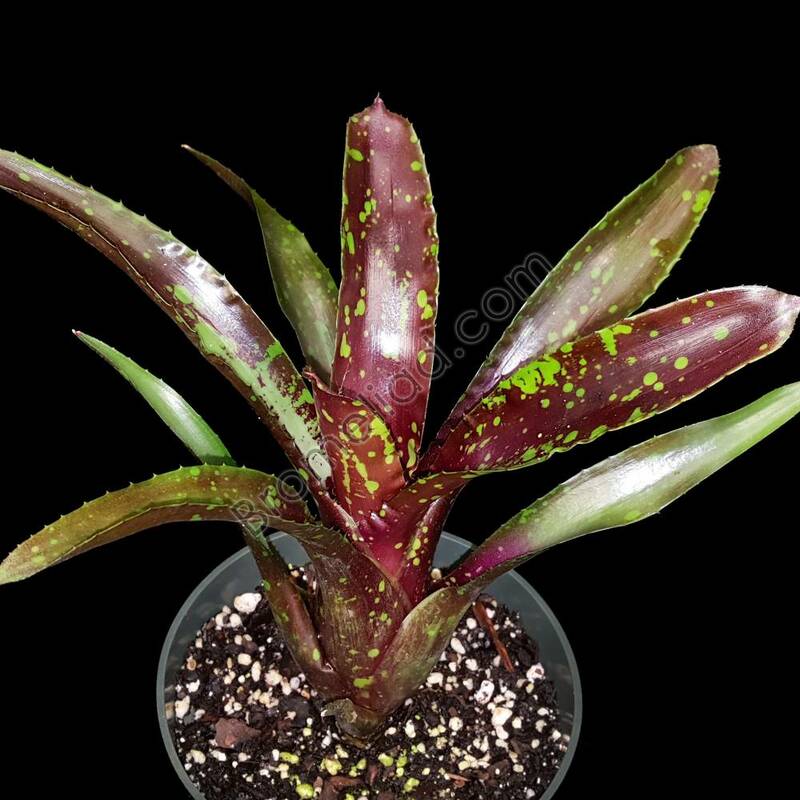 Neoregelia 'Domino' is a nice miniature cross of Chlorosticta x Pauciflora. 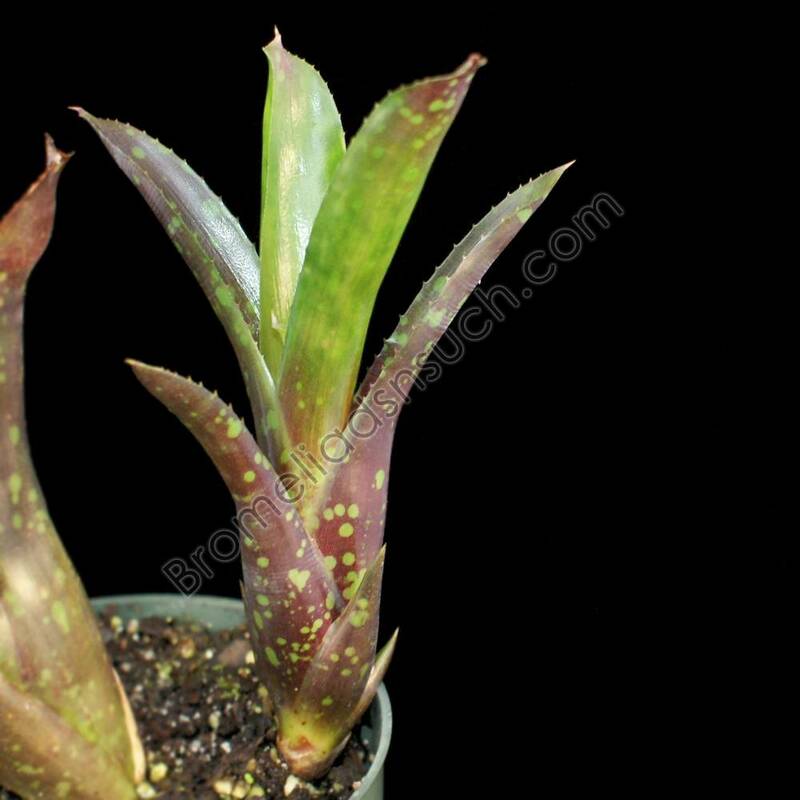 Small and stoloniferous with very dark purplish/chocolate brown foliage with prominent well distributed green spots on both sides of the leaves. Distinctive and recognizable for its contrast. Best grown as a clump in bright light conditions. Exquisite and choice collector plant. Maximum Size: H:5" x W:4"